PRINCE ALBERT, SASK. 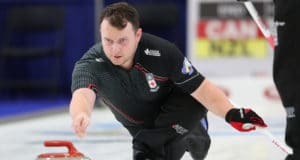 — British Columbia skip Tyler Tardi and vice-skip Sterling Middleton etched their names in the record book on Sunday night at the Art Hauser Centre in Prince Albert, Sask. The duo won their third New Holland Canadian Juniors title in a row, a feat that has never been accomplished before. 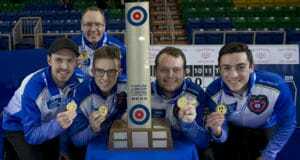 The 2018 New Holland Canadian Junior Curling Championships kicked off on Saturday with men’s and women’s teams from across the country beginning the battle to determine who will represent Canada at the world championships in Aberdeen, Scotland.